California, with its coasts and canyons, can be one of the most romantic honeymoon destinations in the world. Whether you live in LA and are looking to honeymoon close to home or are just a fan of SoCal and its environs, Southern California and Central California have loads to offer to starstruck newlyweds. Below are a few romantic honeymoon destinations in California that are sure to bewitch and beguile you and your mate. 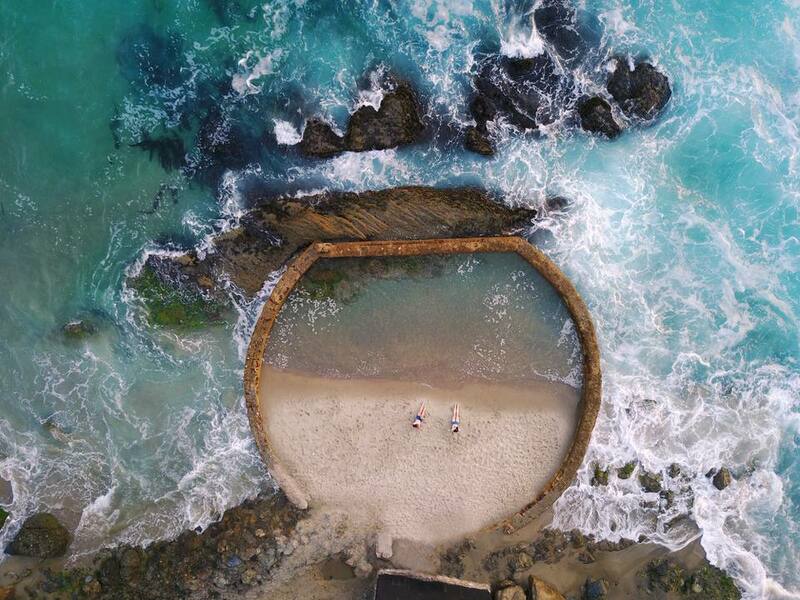 A 55-minute drive from Los Angeles, Laguna Beach is the seaside home of 'plein air' painting, a romantic landscape-focused style of artistic creation. Sometimes dubbed the 'California Riviera,' Laguna's sparkling shores, artistry, and laid-back atmosphere make it a favorite with honeymooners. The Ritz-Carlton Laguna Nigel,​ The Montage, and the Surf & Sand Resort are ocean-front dream properties that attract their share of newlyweds. When you're not taking moonlit walks along the beach, other local activities beckon, like gallery-hopping, golfing, wine tasting, tennis, surfing, and dolphin-watching, to name a few. It may not be Tahiti, but Catalina Island has its charms as well, one of which is that it's a no-car island (which many Angelenos enjoy as it gives them a rest from the all-too-familiar traffic and smog). Many a celebrity has fallen in love on Catalina's shores as it was once a go-to spot for classic stars like Clark Gable and Betty Grable. The capital (or at least its namesake) Avalon even features in a romantic Roxy Music/Bryan Ferry song. Hotel hotspots popular with newlyweds include the ​Avalon Hotel (with its breathtaking Rooftop Getaway views) and the ​Hotel Vista Del Mar (with its double whirlpool jacuzzi tubs). Beyond these properties, there is much to do on the island, like golfing, diving, glass bottom boat tours, snorkeling (Lover's Cove) and of course, riding around on a bicycle built for two! Looking for something different for your honeymoon--maybe even a bit fun, kitsch and campy? If you and your mate have a playful and fantastical sensibility, the Madonna Inn may be the perfect honeymoon spot for you. Just a few hours from LA, in San Luis Obispo, it's known for its colorful themed rooms and rock waterfall showers. From the 'Old Fashioned Honeymoon' room to the 'Bridal Falls' room, it's never run-of-the-mill or standard at this virtual theme park for grown-ups. There's even a 'Cave Man' room! Other themes explored in the decor are Swiss ski chalet, hearts and flowers, and Irish hills. They've also got a steakhouse and a spa on-site. Beyond being a den of celebrities, Malibu is Southern California's sparkling seaside jewel, with its romantic beaches and rustic canyons. Get swept away by your mate and the scene at David Geffen's oceanfront Malibu Beach Inn or share some quiet moments in the 21-room Casa Malibu Inn on the Beach with its quaint cottagy atmosphere of fireplaces and wicker furnishings. If you leave your hotel, a spectacular day at the beach in Malibu awaits: have lunch at the romantic Inn of the Seventh Ray, explore the old Adamson House or wander around the stunning Getty Villa together. Located in Central California, the Santa Ynez Valley is a little piece of Steinbeck heaven amidst the breakneck 21st century. Famous for its vineyards, the area is a perfect honeymoon spot, particularly for wine aficionados and lovers of nature (it boasts some gorgeous hiking trails on which you and your loved one can get intentionally lost). The quaint Danish town of Solvang with its windmills makes for a nice afternoon visit as well. For a self-contained experience, stay at the Alisal Guest Ranch & Resort. The ranch-style property has a special 'Wine & Roses Romance Package' that includes: accommodations, sparkling wine and roses on arrival, daily breakfasts and dinners (including Alisal label wine), welcome basket with fresh fruit, cheese and chocolate truffles; a picnic basket for two with wine, one-hour couples Swedish massage, and unlimited activities like golf, tennis, and of course horseback riding. A tranquil oasis with its own secluded, tucked-away grounds, an Italian and Spanish villa-inspired decor... these are some of the features of the Rancho Bernardo Inn Golf Resort and Spa, located between Escondido and Downtown San Diego. With a gorgeous full-scale spa treatment center, golf course, the property lends itself to quiet, intimate times, just the two of you. Rooms are comfortable California-style and feature deep soaking tubs. But one of the highlights of the resort is the outdoor Veranda restaurant where you and your new bride or new groom can cuddle in front of outdoor fireplaces and the fire pit while sipping mimosas. The al fresco eatery also hosts live music on Sundays through Thursdays, just to add to the warm, romantic ambiance. Big Sur is probably the furthest honeymoon destination from LA on this list of nearby spots, but it's well worth the slow meandering drive up magical Highway 1. The cliffs, Bixby Bridge, the water and the wildlife all whisper poetry. It's no wonder creative couple Jack Black and Tanya Haden got married in Big Sur. Whether you stay at the high-end Post Ranch Inn or have a more rustic, quaint experience at Deetjen's, Big Sur may well be the most romantic spot in California in which to spend your honeymoon. Activities in the area include hikes, lunches at historic Nepenthe restaurant (the property Rita Hayworth and Orson Welles bought on a romantic whim back in the day) and of course a trip to the Henry Miller Library if you and your mate are fans of arts and literature.